Sometimes we need to honestly ask ourselves, what do I really believe? Do you stand on your own wisdom, your education or individual influence? Or do you truly believe the word of God, not just the parts your experiences lend evidence to, but the hard stuff, the stuff only the eyes of faith can see? Without a rock solid foundation, we will be easily blown whichever way the wind goes, and we will quickly find ourselves adrift with no anchor. 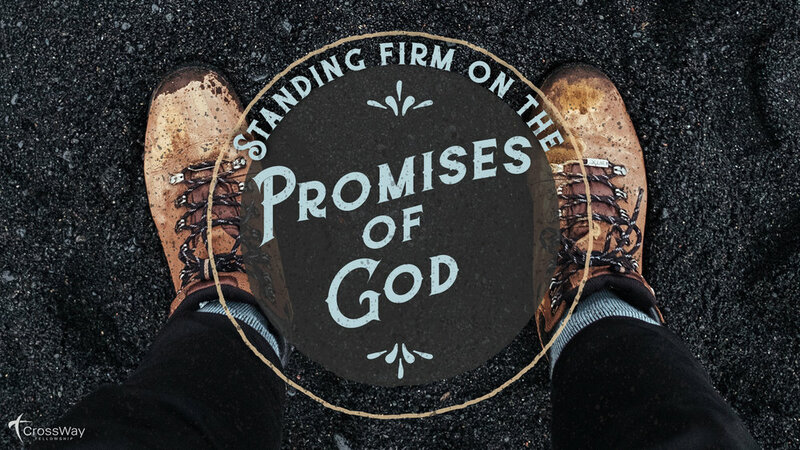 Our goal throughout this series, is to firmly anchor our faith in God's promises to us, and to bring us confidence that even though the world around us may crumble, God's word does not! l. Are there any thorns/weaknesses in your life (difficult trials, disappointments, physical difficulties, relational tensions, psychological struggles) that you find yourself continually praying for God to remove from your life? 2. Why is it so hard for us to view these as opportunities for God's grace to be displayed in our lives? What shift has to happen in our mind and heart to get us to embrace the thorns God has not removed from us? What does surrender look like for your specific thorn/weakness? 4. Think about a specific weakness in your life. What is a specific promise from Scripture that God speaks that addresses that weakness and gives you hope? What would allowing God to speak that promise into your weakness sound like? How have you seen God's sustaining and empowering grace at work in your life amidst weakness? 5. Ultimately, why does the gospel make this promise true?